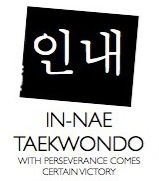 Tae Kwon Do is an ancient Korean Martial Art. Tae Kwon Do literally means "The art of kicking and punching". Tae Kwon Do has evolved into a modern international sport and is practiced around the world. It is known for it's grace, speed, power and incomparable kicks. Tae Kwon Do is an exact system designed for unarmed self-defense and counterattack. The training techniques are approached with the ultimate goal of the art being the true and full determination of self. We strive to develop our students both physically and mentally. We instill in them the qualities of discipline, respect, integrity, loyalty and honor. This helps our students to develop outstanding character and provides them with a strong basis for a fulfilling life. Pil-Sung strives to enable the students to attain their own unique, individual excellence. Pil-Sung also offers special activities and seminars for the advancement of the students. THE INFORMATION OBTAINED ON THIS WEB SITE IS TO BE USED FOR REFERENCE PURPOSES ONLY. .. ALWAYS GET PERMISSION FROM A MASTER BEFORE EXECUTING A MANEUVER THAT YOU HAVE NOT BEEN PROPERLY TRAINED TO DO.